Every video marketer today wants to know ‘What is Video SEO’. So why would you be left behind! With continuous Google Penguin and Panda updates you should know the recent SEO Video Marketing trends. Read along and get to know about Video SEO 2018. Many a time there might be a situation when you have been continually creating and uploading high quality videos on the top video hosting channels but unfortunately not receiving the desired results. Your videos are not enjoying the required amount of viewership because no one is actually watching them. Hence, you are losing out of attracting enough traffic. This is indeed a very intimidating situation when you continuously witness such disasters and finally end up facing failures. We know that Google and YouTube give credits only to those websites that rank high. Also it’s a proven truth that videos are the most potent ways to increase a website SEO and traffic. So, it’s essential to optimize videos for SEO, link building and to get traffic. But somehow you are not being exposed to the exact procedure to optimize your videos. You have been trying all the generic methods yet have been failing continuously. Hence, before you plan strategies on how to get the desired video ranking, it’s essential to gain an in-depth understanding on – ‘what is video SEO and why it’s necessary?’ Needless to say, a high video ranking means you get serious traffic. Video SEO or vSEO, an essential element of SEO is indispensable to improve ranking or visibility of your video in search engines. As per the Video SEO definition, this is a process to leverage maximum traffic, retain audience attention and finally to promote conversions for the long run. Additionally, through good SEO Videos practices you can improve usability and user experience of your website. To put simply, video SEO is a strategy to generate a return on investment (ROI). Through the process of Video SEO your video can appear in the first page of a Google search result, in the same way that regular SEO boost an actual website in search results concerning the search term. The only difference between normal SEO process and Video SEO is that – since Web crawlers cannot read actual video data usually built to find text, the formal SEO process requires use of tags and metadata for video SEO so that the crawlers can reach your video. Another way of promoting videos in searches – the concerned website should have a video sitemap (a video gallery hosted on the site itself). Google gives importance to websites having rich snippets and to large video catalogs that include YouTube, Vimeo etc. Thus, the video sitemap informs the search engine that the site is also a possessor of vast video catalog. So, the goal of video SEO is to make your video content appear in video search engines alongside the organic search results for major search engines. This way the traffic is directed to your site and not to the video hosting provider. But, why should you have video SEO? Understanding just what is video SEO will not serve the purpose if you don’t get into the core of this action and get to know why should you focus on video SEO. As we know that videos influence consumers’ purchasing decision a lot and hence, needless to say, your marketing campaign should involve videos. Now, people are also technologically updated and are open to different devices, therefore videos should be made in a way so that audience can watch them wherever they are and on whatever devices they are using. Video marketing has changed drastically over the years. Nowadays, producing videos does not require too much of effort. With so much of videos all prevailing in the internet it has really become harder to thrive in the competition and get ranked in universal search results. To gain the top rank in an search page, you need to be video focused and create video SEO. It is estimated by 2021 every second; a million minutes of video content will cross the network. Also, the report shows that globally video traffic will be 82 % of all consumer Internet traffic by 2021 that is a steep rise from to 73 % in 2016. Forbes puts forth that video has become a critical information source for all consumers. Interestingly, nowadays senior executives in the corporate sector also prefer videos as an internal communicative material to reach to their teammates too. Another Marketing survey report reveals that more than 80% of people worldwide watch more online videos today compared to previous years. 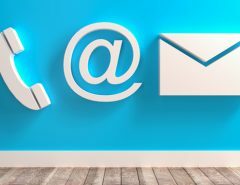 All these and many more taken together precisely prove that in this visually appealing age, every digital marketer needs to change his marketing campaign strategy. Keeping the present requirement in mind we conclude that SEO and video are an ideal combination. To put simply, an SEO campaign is all about finding strategies that actually are in line with both the search engines and your customers. That is the reason why every digital marketer must understand that video marketing and SEO are an ideal combination for growing your audience and retaining audience on your site. Video has seen an exponential rise in the last few years. Industry experts have found out that the increase in video is spread to advertising and marketing and with mobile growing at an average rate of 65 percent each year. There will be video advertising at an average rate of 11.5 % per year. Additionally, video is the most effective source of reaching the target audience due to its rapid advertising potentiality. Forrester calculates that one minute of video equals to 1.8 million words of text in the message communicated compared to several other marketing and advertising materials. Secondly as videos are easy to use and exciting source of gathering information, they generate more traffic and hence improve overall SEO of a website. 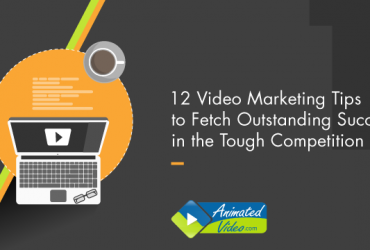 Video is the best outreach medium amongst all other marketing communicative materials. It’s one of the most preferred sources among the industry experts today. Through well-informed video you can communicate your ideas and brand message to your audience effectively. There’s no denying the fact that adding videos to your site is the best and the easiest way to keep users entertained and captivate them to your site for long. It’s a known fact that SEO is an impetus for your website conversions and video marketing contributes significant increase in conversions. In an infographic article published in Hubspot – ‘16 Video Marketing Statistics to Inform Your Q4 Strategy’ showed that marketers who have included videos in their landing page has seen an increase in conversion by 80% and in their email marketing campaign has experienced 51%. Therefore, industry experts give specific importance to video SEO efforts, video SEO is the best way to boost conversion rates. A marketer must include exciting and engaging video contents to attract and enthrall more and more viewers. The search engine giant, Google gives credit to those sites that have high-quality backlinks and according to continuous recent updates in Google Algorithms (Panda and Penguin) videos help in building high quality backlinks to a website. Videos provide greater amount and diverse backlinks which include article directory backlinks; RSS feed backlinks and social media backlinks. There’s no denying the fact that you will get full credit of Google because the search engine loves it. Additionally, you will stay ahead of your competitors as well. Video SEO is responsible for promoting your brand and in turn establishing your site as one of the most trusted go to page on the internet. Additionally, a video has the power to act as thought-leader in its niche when it answers consumers’ questions thereby providing information about the offered products/services. In this way, search engines find your website and your site earns an online reputation across the web. Further your site receives the required traffic too. Undoubtedly, with video optimization you’re increasing your brand’s visibility and more and more potential customers can find you with ease. Your site should start incorporating SEO video marketing to keep up with the ranking competition. Your competitors will try all the best methods and implement all kinds of SEO efforts. Needless to say, you’re also competing for similar search queries and thus the entire competition becomes tough. A well-planned Video SEO strategy would definitely give you an edge over your competitors on the search results page. 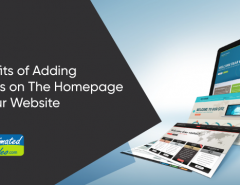 Create your valuable visual property and optimize those for effective spread. However, only using optimization techniques would not make your videos rank higher. Essentially your videos should have answers to their questions. When people find their search queries answered in your offered videos they are more likely to stay on page and keep coming back. Video SEO is extensive yet fruitful. Your audience prefers videos because it offers many things to the viewer. It might educate them, amaze them and inform them. The primary goal of a video is to evoke a strong emotional feeling amongst its viewers, when they are benefited from a video they in turn share it. It’s a cycle that starts with your video optimization, ranking of your site and finally ending with your videos being shared through tweets or link sharing. Now, if you want to to know how to improve SEO with video – just keep reading! Shari Thurow, Author of Search Engine Visibility had put forth some of the impressive and best tips. We have compiled the best practices from the ideas offered from several industry experts and have formed the list for your benefit. 1) Market survey shows that most video views come from YouTube which suggest your video to their users. Hence, you should focus on optimizing your videos for YouTube and Google search. However, it’s seen that most people get around 15-25 % of their video traffic from search and the rest come from suggested videos and “browse features”. 2) A keyword that receives more monthly searches in Google may get lesser search in YouTube. Simultaneously a keyword that gets considerable searches in YouTube will significantly experience lesser search volume in Google. Now if your videos are poorly-optimized they will not rank higher. How do you rank then? To rank with YouTube SEO 2018, focus on publishing a high-quality, keyword-optimized video and reach the top of searches. Use tools like YouTube Analytics Stats or Serpstat to find the most relevant keyword for your videos. Your video filename is the first thing that grabs the attention of your viewers. So it’s essential to use relevant keywords in the filename too. Although this strategy has no proper evidence yet experts say if one inserts keywords in the filename, the value of video increases and people would appreciate the meaningful naming and it becomes easier to find it amongst millions of uploaded videos in the video network. The moment while you upload your video you would come across several fields like – title, description and tags fields and you need to fill these fields with specific necessary information about it. Here are some of the crucial pieces of information that you require to add to your video for effective search optimization. Wondering why these information are essential for video SEO? These are essential SEO elements because besides showing up on the video itself, they are also fundamental element for your video’s page on YouTube. However there is a specific rule – it’s essential to keep in mind that the title of your video should not exceed more than 70 characters. Titles are mainly important because they show up in search results and needless to say, the title tag should always include your targeted keywords. Description – Video description is another important area to focus on. The entire description of your video will show up in search results giving the target audience scope to understand your video in details before they click on it. The description should not be more than 165 characters. Create an engaging description that compels the viewers to click on it without thinking twice. Video marketers are of the view that the video description should be the answer to the viewers’ queries. The description should also include targeted keywords along with the link to your website so that people viewing your video would go directly to your website after that. Tags – Although tags aren’t that important as they were few years back. But, if you are considering uploading videos on YouTube you must focus on your video tag section too. You just need to include meaningful tags for my video with the target keyword and additional keywords phrases that people might include in their searches. What are the video SEO factors? Total Watch Time – This is one of the most vital factors that matters most. The number of minutes of watch time your video has accumulated since you published it. Brian Dean suggests that the more Total Watch Time your video has the higher it will rank in the search results. Grab Viewers Attention – The ultimate focus of creating video and embedding it on your site is to hook you target audience. Now, research shows that the first 15 seconds are crucial for your video, within this stipulated time span you have the entire opportunity of grabbing one’s attention. Video marketeers are of the view that you must create engaging intros that grab people’s attention. Optimize videos for CTR – Click through rate or CTR is one of the most popular and important ranking factor for video SEO. This trend will not end rather it would continue to increase over time. A high-CTR shows Search engines – Google and YouTube that your video offers the best result for that search. Online video is now the trend of marketing, besides text based blogs. With the world getting technologically enriched people have several options to look what they want. Competition is high because with millions and millions of information in the cyber network you need to carve your niche to be prominent and visible. Videos are the answers but if you don’t know where to start from you will never strive the cut throat competitions. Hence, plan accordingly keeping in line with the search giants’ SEO guidelines. Be creative with your SEO techniques. Here’s summing up for you, besides quality content your videos need proper keywords. Additionally, you must share your creatives on proper video hosting platforms. The above guide is scouted exclusively for you so that your brand can become a well-known name in the industry. 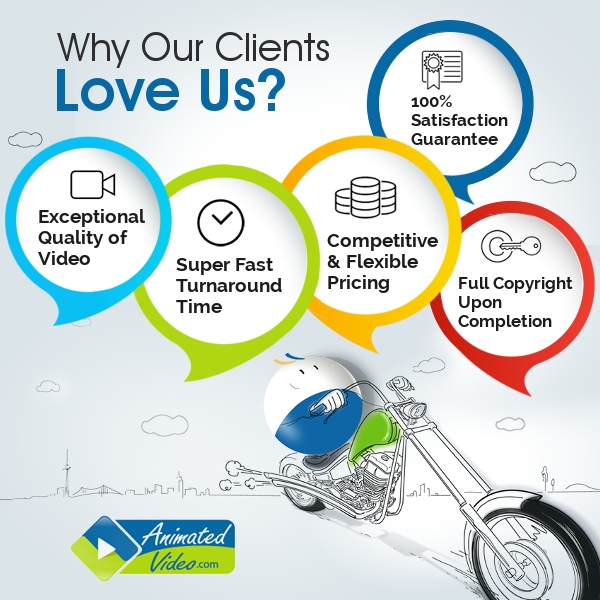 If you want information on the types of videos and how to create them for better optimization you can visit Animatedvideo.com the videographers here are continually researching on several new techniques and would create for you the best video ensuring massive opportunity for SEO in a very cost effective pricing. 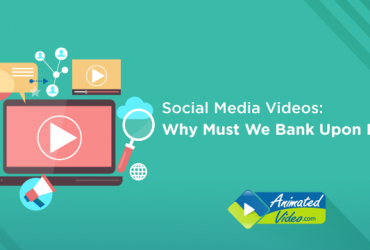 Previous Article Social Media Videos: Why Must We Bank Upon It?